HUGE PRICE REDUCTION! 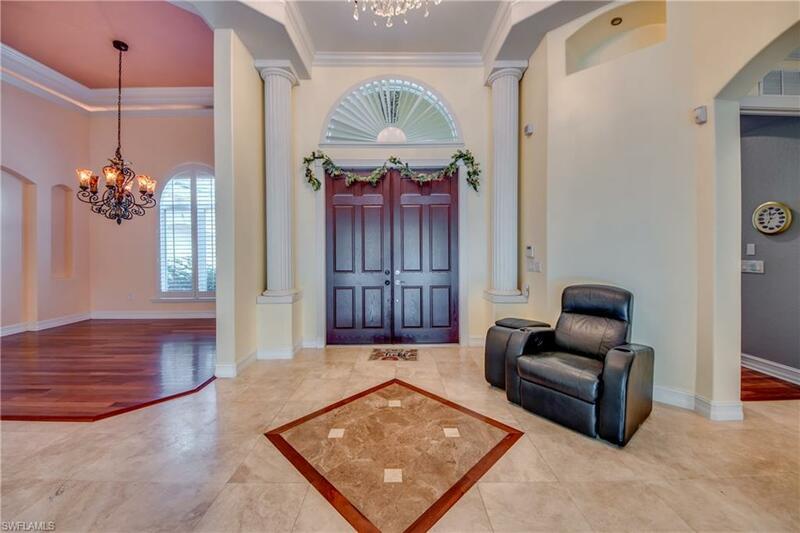 Secure your paradise with this Briarcliff luxury pool home. Main home with separate cabana home. Main home has 4 large bedrooms and 3.5 bathrooms, den or office, formal dining room, and separate living and family rooms. Cabana home has a living room/bedroom, kitchenette, and full bathroom. 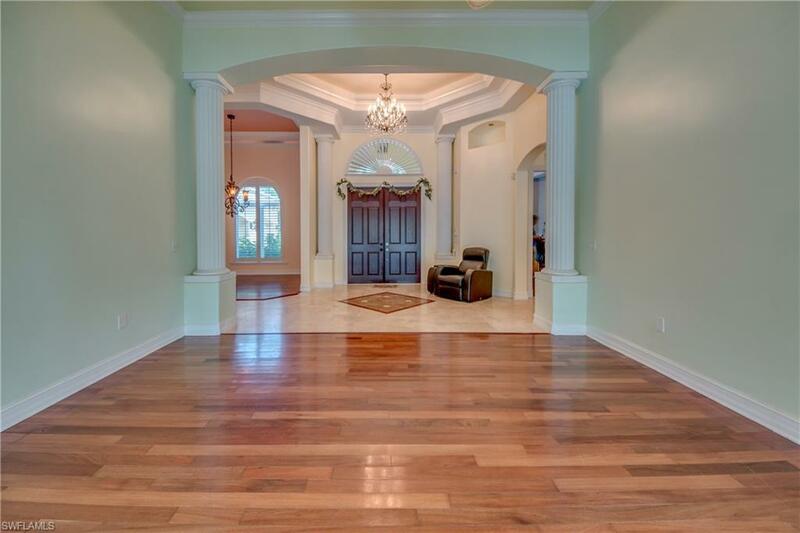 Main home features include tile and wood floors, crown molding, recessed lighting, tray volume ceilings, plantation shutter window treatments, granite throughout, closet organizing systems, and grand entry foyer with inlaid tile. The granite kitchen with natural gas stove has a walk-in pantry overlooking a breakfast nook and very private fully walled large screened lanai/pool area. Hurricane proof master bedroom with en suite. Shower, separate tub, and dual vanity in bath. Bedroom has french doors leading to the lanai and outdoor living space. Here you'll enjoy the pool and built-in hot tub, dry and steam sauna rooms, outdoor shower, fire pit, rock waterfall and pool slide! A large bar/outdoor kitchen is fully shaded and awaits your finishing touches. 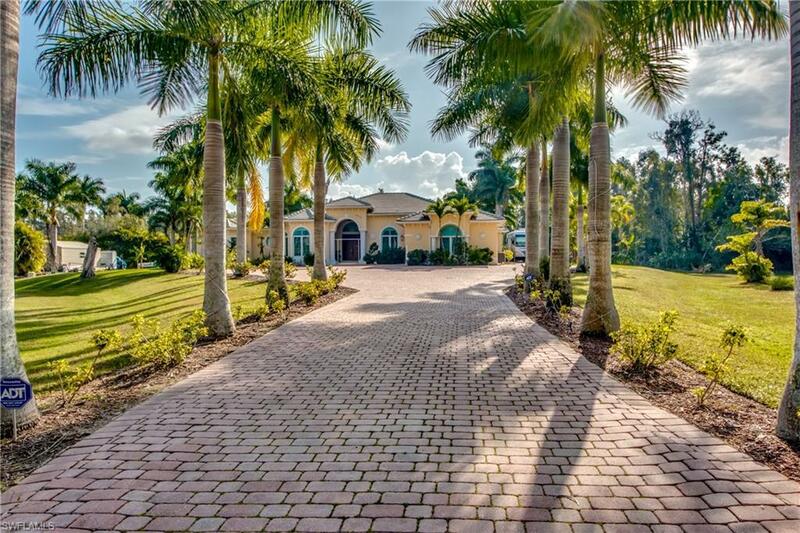 Paver driveway, fruit trees and automatic sprinklers complete the package. Don't delay-make an appointment today! Listing courtesy of John Elya of Encore Realty Services Inc.